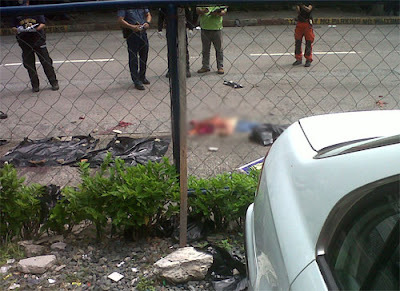 An unidentified woman is seen dead along Garnet Road, Ortigas, Pasig City this morning, 9:25am, November 13, 2012, after she allegedly jump off in a rooftop of the Prestige Tower building that have a 27 floor high. According to the initial report made by the authorities at around 9:20 a.m, the woman was heard screaming before she jump off the building. Security personnel of the building said that they've tried to stop the woman from jumping, but she continue to step backward. Barangay San Antonio official Melvin Villaruz said, "Ang nangyari ayon sa administration ng building, kinausap nila pero tumalon na daw. Nakausap daw ng OIC ng gwardya nila, pinipigil nila at nagsisisigaw na. Ang sabi wag daw silang lumapit tapos tumalon na." 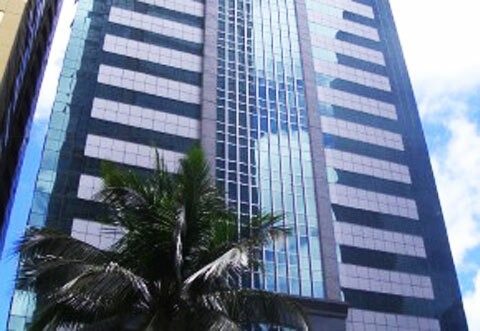 The woman was said to be an employee of one of the companies occupying in Prestige Tower. Authorities are now identifying the woman thru her belongings left in the building, and they are also determining the reason behind her suicide. 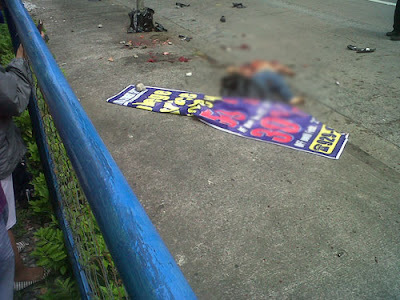 [Update] The woman was known as Josephine Maranan, 45-year old, living in Sampaloc, Manila. The victim is a spare parts distributor, according to Melvin Villaruz. Comments or suggestions about "Woman died after jumping off in a Building in Ortigas, Pasig City" is important to us, you may share it by using the comment box below.